CCM GP450 – Rally Bike with Panniers, or Dirt-Hungry Overlander? The Yamaha Tenere XT660Z is a superb overlanding bike – and even better if the suspension is upgraded and the engine is opened up with a new exhaust and air filter. It can handle the rough stuff with ease, and cruise for hours on the hard top. But she’s heavy – close to 200kg (dry) once you’ve added a bashplate, crash-bars, pannier frames and the like. Hence my quest for the Tenere’s lightweight cousin. For months I had a bead on KTM’s 690 Enduro with a large tank and fairing. And then CCM’s GP450 Adventure entered the fray. I was lucky enough to take a GP450 for an extended test ride – about 250 miles over two days, including twisty back roads, a motorway run, some urban riding and most importantly, 25 miles of green laning in north Lancashire. Before I proceed with my thoughts on the GP450, it’s important I lay out the baseline from which I judged the bike. Firstly, the rider. I’m not a professional motorcycle reviewer and won’t try to be. My task was simple and focused – to assess whether the CCM would be a better bike than the Tenere to take through the back-roads of the Andes, or a similar off-road orientated trip. 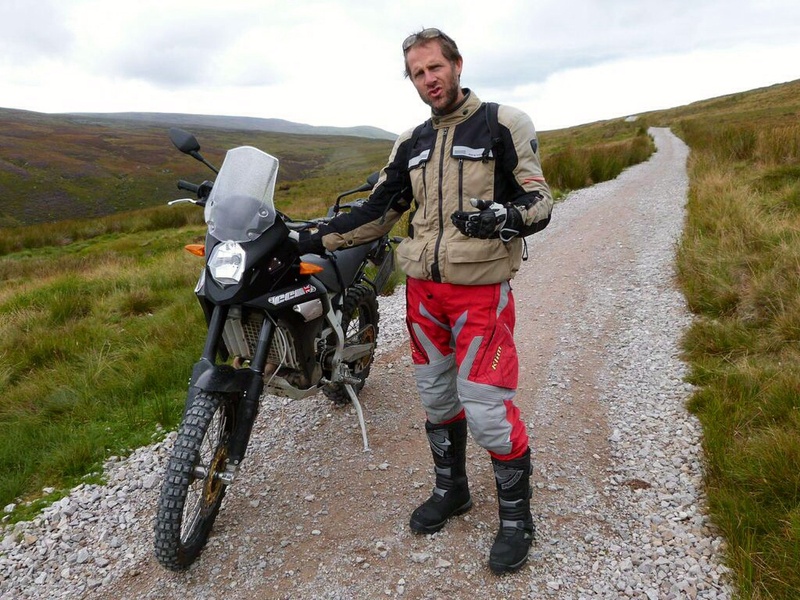 Having accumulated over 40,000km across a wide variety of terrain – from motorways to mountain dirt tracks – on a single cylinder adventure bike, I felt adequately qualified for the task. Secondly, the machine. I was given a GP450 with about 3500 miles on the clock. It was fitted with the high seat, and half-worn knobblies (T63 front, Mitas E-09 rear). I discovered after the test ride that the bike had just been used in a rally and the suspension was set up accordingly – ie, very stiff. Most importantly, this is still a pre-preproduction bike. For the first couple of hours of riding I was a little underwhelmed – but that may have been a case of over-expectation. To me the bike feels somewhat ‘agricultural’: the engine has the rough characteristics you would expect from a single; there is fair bit of vibration through the bars, seat and pegs riding on road, especially when cracking open the throttle; and I thought there was a lot of noise around the cockpit area, which sounded like vibration in the plastic dashboard or cowling (although I couldn’t pin it down and find it). Being very used to a big single, this didn’t overly-bother me and I soon got used to it. But if you’re used to a smooth and solid ride, it may take a little longer to tune in to the GP450. But tune in I did. The 450 grew on me; by the time I handed it back was really enjoying it. I found the engine very functional and certainly powerful enough for what I would need in South America. It may lack the X-factor which some engines possess, but it has ample punch for a lightweight bike. And contrary to some ardent views out there, I didn’t feel the lack of a sixth gear. Perhaps unsurprisingly, the stand-out characteristic for me was the lightness of the bike. The low dead weight when maneouvring the bike at slow speeds or when dismounted was a joy compared to my Tenere. But is was even more pronounced when riding the twisty back lanes. The 450 feels very light and agile in the corners, and really well balanced. It is very responsive and easy to handle – and a lot of fun. Get off road and it feels even more at home – the dirt is this bike’s natural habitat. The riding position, seated on standing, fitted me perfectly (very similar to a Tenere). It was very manoeuvrable. And when I hit a loose and rocky section of trail I hardly batted an eyelid, whereas the Tenere would have demanded much more caution and focus. Unfortunately, the very stiff rear suspension setup (the preload was wound fully down) made for an uncomfortably hard ride – particularly on the unkempt back lanes – so I couldn’t assess the bike in this department. When I’ve got eight hours of pot-holed roads or washboard to ride in a day, I want a softer setup to smooth things out. I also had a very hard seat fitted to the bike, which became uncomfortable after about 40 minutes (four hours on the Tenere). Again, I discovered after the ride that this seat was made for rallying; the production bike will utilise a softer foam. The thirty minute motorway ride up the M6, with a blustery crosswind and plenty of high-sided traffic, provided a different perspective. The 450 is light and tall. As a result, I was getting thrown all over the place as I passed trucks and buses. 70mph was enough for me in such conditions, but the engine had more to give and in calmer conditions I reckon the bike would cruise comfortably at this speed. Of note for those looking to do some long hauls on the CCM, the vibes were also notably reduced riding on a steady throttle at these speeds. It is without doubt a very well appointed bike; most of the components such as pedals, handlebars (Renthal) and brake discs are high quality; the frame and the swingarm look beautifully engineered; and CCM have designed some well-considered aftermarket parts such as the dummy exhaust container. The soft luggage frame was great and my Giant Loop gear fitted very well. The instrument panel is very basic. I can live with it except for one omission – there is no temperature gauge or warning light. Personal experience tells me this is an essential for an overlander. My fan packed up in the Atacama desert. With no warning light I would have been unaware of this and would probably have cooked my engine. I then had to ride for several thousand kilometres until I could get a new one; far from ideal, but at least with a warning light I could manage the situation, knowing when I was on the threshold. When I mentioned this, the answer was that rally bikes don’t have one. 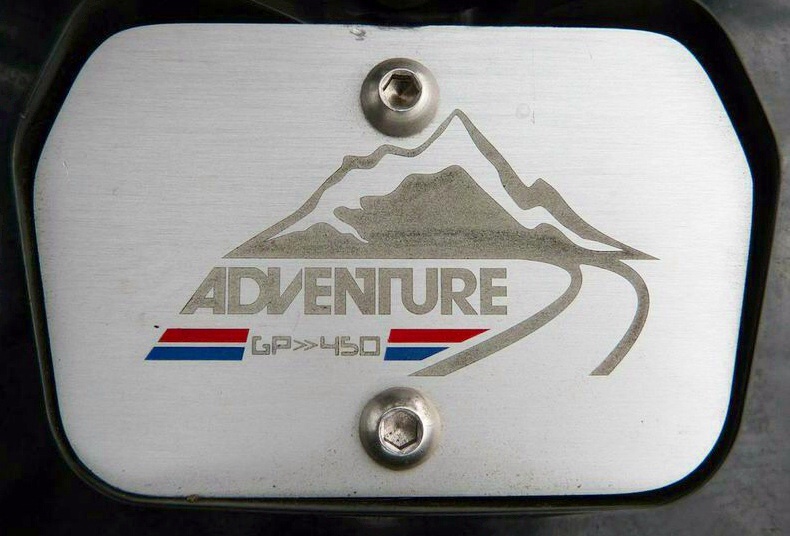 And herein lies a question I kept asking myself – is the GP450 a rally bike with panniers, or a genuine overlanding bike? I got the clear impression that CCM’s intent is to build an ‘go anywhere’ overlander, but I was left thinking they have built a rally bike – perhaps unsurprisingly given CCM’s heritage and the company’s DNA. The temperature warning light was one clue. So to is the classic dirt bike kickstand, which I found awkward deploying from the seat (overlanders don’t usually get off a fully loaded bike before deploying the stand, because swinging a leg over a kitbag and pannier behind you is tricky!) And let’s face it – the rather beautiful bonded aluminium frame is pure rally; any sane overlander would surely opt for steel which can be repaired by any local, outback welder. Does it matter? Maybe not, and if you’re an overlander hell bent on riding the really rough stuff, adding some rally pedigree may in fact be a positive thing. I only mention is so you know what your getting with this bike. And so to the crux of the issue….. Would I swap my Tenere for a GP450 were I to ride South America again? I really want to say yes, but I can’t do so right now with 100 percent confidence. I would need to ride the bike again when it is in production form, and with it set up properly for overlanding – the overly stiff suspension and other ‘pre-modification’ characteristics distorted the ride too much. I was assured that the production bike will have suspension offering softer settings, a more comfortable seat, a modified plastic dash which may reduce the noise, and a number of other minor alterations which will tidy up a few niggles. CCM have undoubtedly designed a great bike. With the promised changes, they should build a great bike. If the engine the frame holds up (and given the history of both there is no convincing reason to believe they won’t), I think they GP450 could be a superb overlanding bike for riders who subscribe to the lightweight philosophy and want to push it on the dirt. To my mind, that leaves CCM with one final challenge. The totality of the biking experience is more than the buying and the riding. The after-sales infrastructure is a key part of the overall equation – servicing, accessibility of spares, access to technical expertise and advice, and a robust recalls process for parts that later prove to be faulty. This is even more important for a brand new, unproven bike, as gremlins are an inevitable aspect of product development. Once CCM have got the bikes rolling out to their customers, this after-sales service will be the final part of the jigsaw. If they get that right, then the GP450 could establish itself as the lightweight overland bike of choice. I really hope CCM can nail it with the GP450. I want to love this bike and am hoping the production bike will seduce me. Not only will we then have a great, lightweight adventure bike to enjoy, but it may also act a market catalyst and encourage the more established brands to compete. Then we, the riders, get even more choice in a largely neglected sector of the market. If I haven’t answered some of your questions here, feel free to ask in the comments box below and I’ll do my best to satisfy. 20 Comments on CCM GP450 – Rally Bike with Panniers, or Dirt-Hungry Overlander? And I didn’t even mention which colours it comes in!! You’ve probably read it. But nothing beats first hand experience. Nice job on the review! I was curious how much luggage you packed on your test ride? I’d assume if the bike were used as a LD travel bike, it’d be fully loaded? Wonder how the handling would be with the load? I’ve never seen the CCM in person … they aren’t even officially out yet. I’ve owned several 400/450 dirt/dual sport bikes and ridden quite a few more modern ones. Loved them for off roading and shorter trips … but for a fully loaded LD ride … not so much. Both my former ’98 XR400 (street legal) and 2001 Suzuki DRZ400E were good, proven reliable bikes. Both did Baja and both did well. The Suzuki was the better dirt bike the XR the better mild trail and road bike. Neither all that good on LONG highway sections … or when loaded up with too much gear. I never did any really long rides on either, the most was a 1800 mile ride down/up Baja. I don’t miss warning lights either … my DR650 has none! But then again, it has no radiator, hoses, fuel pump, water pump or F.I (error codes). Unless all the oil falls out … it should keep going! Like your Tenere’, my DR is fabulous on highway and a very sporty bike on paved, technical twisty roads. Surprising how good it is … but does lack good brakes. I think the CCM would be perfect for the “short adventure” type ride. 3 weeks in Baja, or a month riding round Morocco, or a month exploring S. Africa. Not sure it’s the ideal “continent crosser” but if you layout mostly rugged off road and pack super sparse … it should be very good. I could see tour companies using them for guided tours. Thanks for the review! Keep up the good stuff! I was mulling over the luggage issue. I only had about 15kg in my Great Basin – nowhere near enough to judge. Minkyhead on ADV Rider took about 25kg on his Portugal ride and reported the bike handled it fine. I guess I carry about 35kg. It is a bit of an unknown. I hardly notice it on the Tenere, but at nearly 200kg dry it’s much more planted than the CCM and I expect carries the weight better as a result. I’d want to try the production seat before I make my final decision on the GP450. I was shown the foam that will be used in the production seat, cut into shape, and it certainly was softer. But seats are funny old things and very personal I think. No discernible difference in foam density, but my Tenere seat is MUCH more comfortable than that on my Tiger 800. If I could push out three hour stints on the new seat without going numb (and cutting the vibes down /out with less aggressive tires), I reckon the GP450 could eat up the miles fine. A most interesting read, Paul, which has simply left me thinking that I must bag a test when the production model is available – I love the concept of the CCM but do have some doubts as to its all-round and long-term practicability. It also leaves me thinking that I probably got rid of my ideal bike, an XT600E, some time ago – granted, not as light as the CCM, but notably lighter than the Ten and very well proven. The one main thing I’d want reassurance on with the GP450 is the bonded frame and I guess the only sure-fire way of getting this is to wait a few years to see how it performs….one can count on any problem making a rapid appearance onto some forum or other! It’s a shame that the DR650 – as Patrick above has – is not available here albeit there are one or two new, ‘grey’ imports around. As for seats, one way to ensure all day comfort seems to be by fitting of an Airhawk seat over the OEM seat – my wife uses one and after some 18 hour/650 mile days is perfectly comfy (for some strange reason I can seem to adapt to an OEM seat quite happily, at least those on the Ten and an Africa Twin I also have). Re. your return to S. Am….have you any route or destination planned or is it a case of itinery as the mood dictates? I’m sort of glad it’ll be using (I assume) the Ten since it’s long-term performance is of great interest; on the other hand, it would be equally as interesting having a CCM guinea pig! Interesting times ahead when I go back. I may be heading to the US for a couple of months whilst I wait for Paulina. I’ve been offered a selection of project bikes by one of the adventure bike mags over there, to take on an extended test ride so to speak. Seeing I’m becoming a lightweight zealot I should take their upgraded 690 Enduro, but there is a KTM 1190 Adventure on offer!!! Can a Brit lose his licence for repetitive speeding offences in USA? Still mulling over the 2015 plan, but I’ve got time for that. I’d definitely take a look at a production 450 (November is the latest given date). We’ll not know about the frame and engine until someone puts some serious miles on. That’s the crux of the CCM dilemma – ‘risk it’ or ‘play safe’. I sense the majority will opt for ‘play safe’ when they are about to sign the £8000+ cheque, but only time will tell. Its certainly a quandary, you could drive yourself mad trying to search for that perfect balance of weight, power and comfort. I’m now sitting in the same camp as you on issues of weight – my F800 is so bloody heavy but when it comes to power and comfort ( now that I’ve added an Airhawk seat ) its the perfect beast for me. Without the luggage it’s almost perfect in most terrains but still a little heavy in sand, so maybe looking at ways to cut down your luggage weight and stick with the Yamaha might be another way of looking at the problem – if thats a possibility, maybe your luggage is already at it’s minimum, I certainly could loose a few pounds getting rid of the hard panniers for a start. I’m getting the feeling I’ll stay with the Tenere for a little longer, but I’m not helping myself here – I’ve just done two days in mid Wales on a 96kg YZ250!!! How much fun???!! More and more I want to be able to unload the panniers, strip the bike down and go for a burn in the desert or along some gnarly tracks – and at my level of riding off-road riding the Ten is still to heavy to really have fun. Maybe I’ll buy and old pick up, a large tent and put a YZ450 in the back, and drive around California, New Mexico and Baja. Hi Paul, what are your thoughts now on the KTM 690 after having ridden the CCM. Don’t you think that adding larger tanks and fairings to the 690 is starting to ‘defeat the purpose’ a little? A 1.75 rotopax (in reality 2 gallons U.S.) can be carried giving a range approaching 275 mile range but virtually no added weight when the rotopax is carried empty on days when the added range isn’t required. The reality is I still haven’t found a 690 to ride yet! My thoughts on it being the right bike for what I like to do have been built on researching other’s experience (such as Noah). However, hopefully I’ll rectify that in the next few months – I have the opportunity to do a big trip on one. But that said, I think I can offer a valid view on the fuel tank issue. The Rally Raid EVO 2 kit, for example, only adds 5kg – not too much in the grand scheme of things if you’re riding the bike loaded up. Carrying a Rotopax when the bike is loaded with panniers and a holdall would be a pain – where would it go? And when you have all that extra weight at the back, carrying fuel forward in front tanks has a benefit of balancing the bike better. Of course, this only applies to overlanding. If you’re only carrying limited weight / routinely use the bike without any kit, saving that 5kg (and a bunch of cash to boot) would make sense I guess. Looking forward to hearing your views on the 690 Enduro when you get a chance to have a go on one (got to be the choice for the US trip!) and how you think it compares to your Yam and the CCM. I’ve just opted for the Basel Quest Kit for my 690 which is an alternative to the RR EVO 2 you mention above – again not a massive weight penalty (circa 9kg) but massive fuel load, great cockpit and improved wind protection – considerably narrower that the EVO 2 but at a price. I see you’re at the Adv Film Fest this weekend, hope to catch up for a yarn about all things lightweight! Piers, hunt me out at the ATFF!! I’ll be camping in a green MSR tent with a white Tiger 800 parked beside…. great review. I saw the CCM at the HUBB Donington but never got to ride it. Although you pointed out you weren’t a professional reviewer and your task was to assess for the back roads v your Tenere I think your review was an informative ‘real world’ write up. As an adventure rider you brought out key points about the bike that other adventure riders will appreciate, something I’m not sure professional reviewers always achieve. What Jenny and I would really like to see on the market is a light adventure bike suitable for overlanding 2-up with a tall ‘driver’ but it’s a bit of a niche market I suspect. 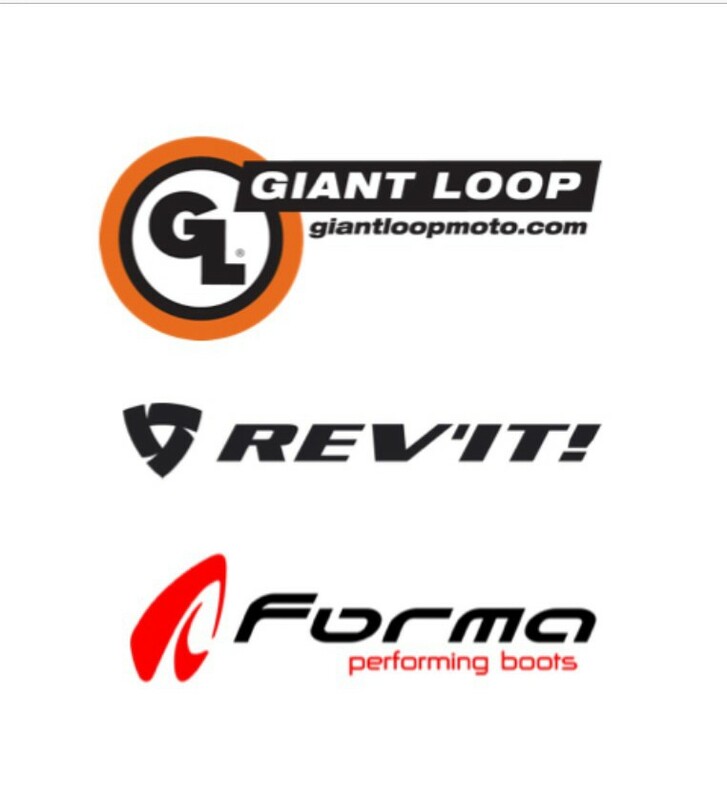 I think (hope) we will see more focus from manufacturers on lightweight adventure bikes for solo riders in the future which is why it’s great to see what CCM are doing. Hope to catch up with you at the ATFF tomorrow. Hi Jim. Thanks for the kind words – glad a few people have found it useful. Maybe the current ultimate 2-up lightweight adv bike is KTM’s 950 Super Enduro with some mods. Check out Andi and Ellen at http://www.twomotokwis.com riding S Am on one. I was really surprised how light it was and they ride it on some pretty gnarly backroads. Thanks Paul. Looks like a good blog so I’ve ‘followed’ it and I’ll have a proper look at it after the weekend. I have a Tenere and think it’s great fun, probably the only true out-of-the-box adventure bike out there. Coming from a Bavarian tractor (BMW 1200 GSA) it’s taught me a lot. Yes, it’s top heavy but that makes it easier to turn when off-tarmac. Despite only having a five-speed box, the extremely wide ratios mean it can handle everything from slow off-tarmac to 80+ mph motorway cruising. But it’s pig heavy and really doesn’t like sand. So I also have a KTM 690 Enduro R. I’ve used it on an all-tarmac trip to Orkney and the Outer Hebrides and am off tomorrow on its first off-tarmac trip in Spain and Morocco. This bike (and the Tenere) are based in Spain so I don’t see the need for the weather protection of a fairing. I find I can get between 25 and 30 kpl when taking it easy, so I don’t feel I need extended fuel tanks, even in remote areas of Morocco. I first saw the CCM GP450 at the 2013 HUBB event and gave a lot of feedback, some of which was actioned in the demonstrators. I rode the CCM GP450 a few months back. I didn’t get a chance to see how it was off-tarmac as it was on road tyres and my guide didn’t know any lanes in the area. I’m impressed, but with a few exceptions; there’s no tachometer (rev counter) which I would find difficult to live with, the gear box is close ratio, and I’m concerned about the ability of the rear section to take a couple of heavy panniers and a roll bag when travelling on bumpy surfaces. The repeated production delays are distressing news and I am so glad I decided not to go for the CCM. Who wants to take delivery of a new bike in the winter months? Instead I decided to buy a second KTM 690 Enduro R as my UK bike and am impressed with the changes in the 2014 model which has off-road ABS, dashboard gear indicator, fly-by-wire throttle and twin-spark engine. I’ve already added Metal Mule pannier frames and will probably go for the Lynx fairing ( http://www.britanniacomposites.com/index.php/productmenu/lynxmenu ) for the wet/cold northern European weather. According to the info I got from christofer at the ccm factory, there is a co tol lamp for overtemperature present! It is a combined led which will show a certain blinking code for overtemp, EFI error and similar problems! I’m back from the Morocco trip which was just over 5,000 km from my base in southern Spain. The KTM 690 performed faultlessly, fuel consumption was a dream. Lots of off-tarmac, mostly with luggage. Going light as in the 690 Enduro or the CCM GP450 is really the way to go. Hi Tim. I recentlty got to put a few miles on a 2014 690 when I was in the States – what a bike! I could see one of those, with big tanks and a fairing, being the lightweight replacement for the Tenere. My only reservation was perhaps it is a bit aggressive for the sort of trip I’m on – it’s always chomping at the bit, especially with the ride-by-wire throttle! !